What is the relationship between melatonin and sleep? And why are the results that people have from taking melatonin supplements to help induce sleep so variable? A recent article has suggested that the two melatonin receptors, melatonin one (M1) and melatonin two (M2) that have been shown to existing humans may have different effects on sleep. A quick review may be in order. Melatonin is a neurotransmitter whose production is highly correlated with time of day. 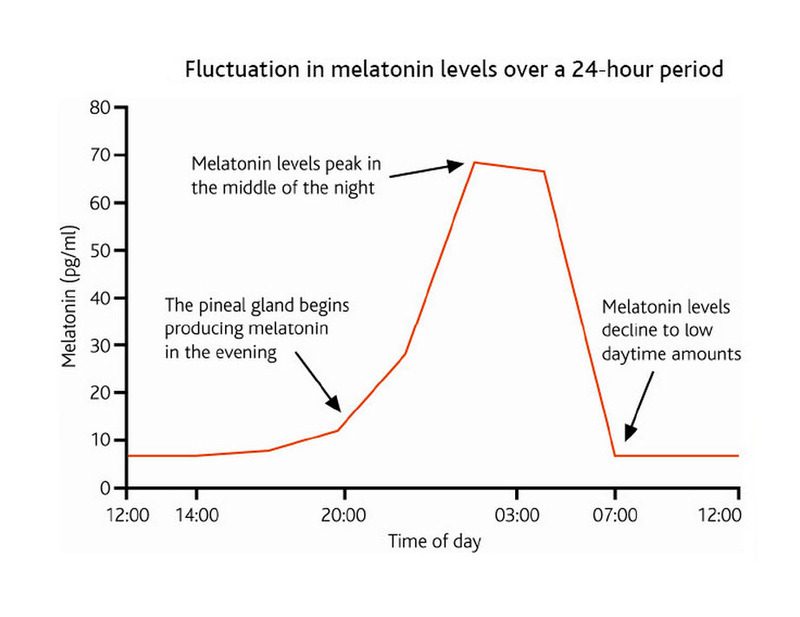 As you can see in the chart, melatonin peaks at night. Melatonin is produced from tryptophan which is also the precursor to serotonin. This relationship is why L-tryptophan was sometimes recommended is a natural supplement to improve sleep. 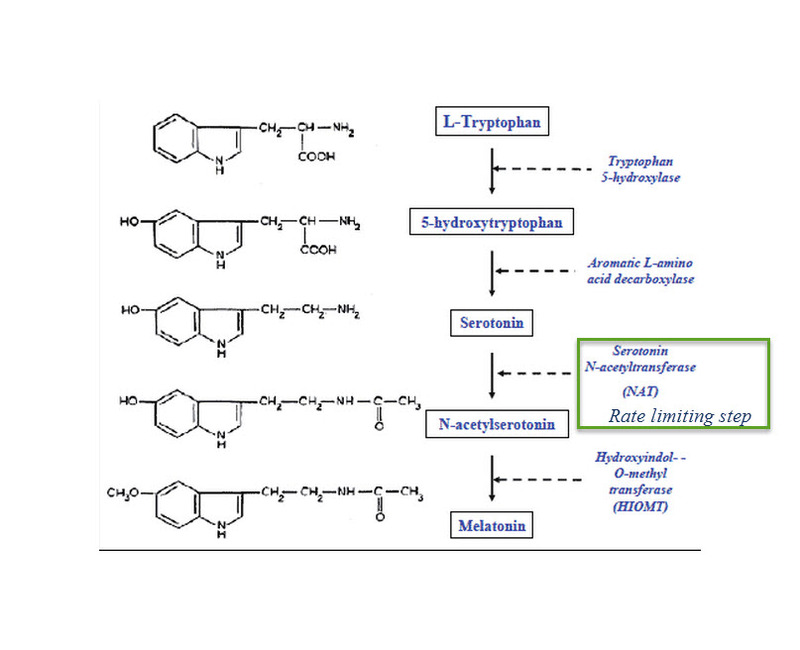 The rate limiting step in the production of melatonin is arylalkylamine N-acetyltransferase, which has also been called “the timezyme.” The chart to the left shows how L-tryptophan is converted to 5-hydroxy tryptophan which is converted to serotonin and ultimately to melatonin. 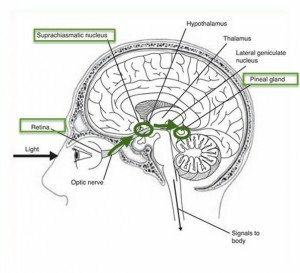 Light activates receptors in the retina which project to the suprachiasmatic nucleus (SCN) and neurons in the suprachiasmatic nucleus release norepinephrine in a circadian rhythm which in turn regulates the production of melatonin in the pineal gland. 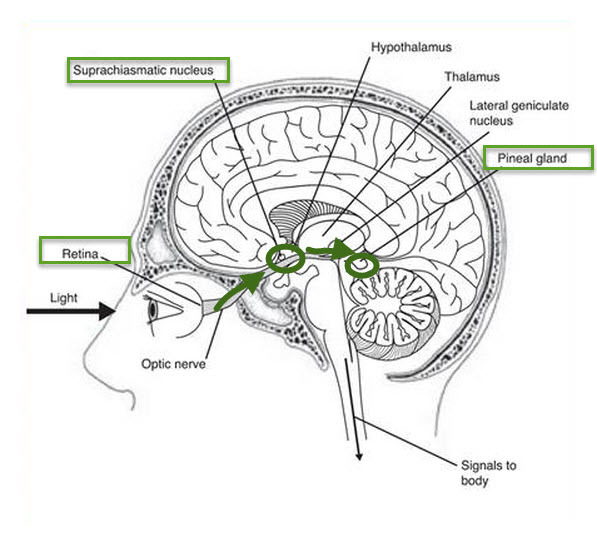 This is illustrated in the diagram on the right which shows the pathways from the retina to the pineal gland. 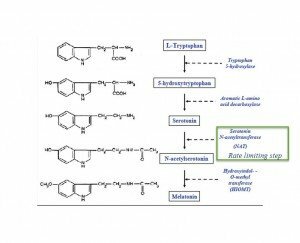 Of interest to all of us as we get older is the finding that melatonin synthesis declines fairly dramatically with age. It has been speculated that this might be the reason why older people have more disrupted sleep. And yet taking melatonin as a supplement is not turned out to be extraordinarily helpful. The antidepressant agomelatine (which is available in many countries, but not the US) and the anti-insomnia drug ramelteon (Rozerem) both act as agonists at melatonin M1 and M2 receptors. As a selective agonist, ramelteon would seem to be an ideal medication to promote sleep. However results from this medication have been less than overwhelming. In new research from Stefano Comai et al., mice who were genetically altered to have no M1 receptor (MT1KO knockout mice) showed a decrease in rapid eye movement (REM) sleep, which is linked to dreaming, and an increase in slow wave (or deep) sleep. Mice who were missing the M2 receptor (MT2KO knockout mice) showed a decrease in slow wave sleep. The effects of knocking out a particular gene like M1 or M2 is opposite to the effect of stimulating the corresponding receptor. The authors suggest that targeting MT2 receptors could lead to longer sleep by increasing slow wave sleep, potentially helping patients with insomnia. 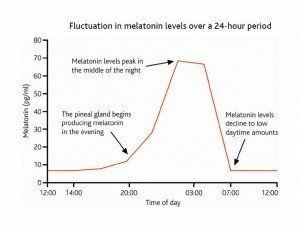 And as it happens, ramelteon finds more strongly to melatonin one then to melatonin to which could explain its lack of dramatic beneficial effects on sleep induction. But this research could lead to development of new medications that are more selective for melatonin two.